WHEN MUHAMMADU BUHARI won Nigeria’s presidential election in 2015, his victory was greeted with euphoria. He unseated the People’s Democratic Party (PDP), which had ruled uninterrupted since the restoration of democracy in 1999. Many hoped Mr Buhari and his All Progressives Congress (APC), a coalition of regional bigwigs whose party symbol is a broom, would sweep away the corruption and dysfunction that flourished under the PDP. But when Africa’s most populous country returns to the polls in February, Mr Buhari faces a fight for his political survival. The excitement of 2015 has long since dissipated. A collapse in the price of oil, Nigeria’s main export, dragged the country into a recession in 2016 from which it is gradually emerging. The 75-year-old Mr Buhari spent much of 2017 in London being treated for an undisclosed illness. (Some felt the economy was better-run in his absence.) Corruption is less flagrant than it was under his predecessor, Goodluck Jonathan, who fired the central bank’s governor in 2014 for pointing out that $20bn of oil revenue had gone missing. But Nigerians still see too much of it in their daily lives to believe that things have changed. Mr Buhari’s approval ratings have languished below 50% for most of 2018. Ominously, he has been hit by a wave of defections to the PDP. Desertions to the APC four years ago, by many of the same people, felled Mr Jonathan. Mr Buhari’s electoral opponent in 2019, Atiku Abubakar, is one such double-turncoat. He is also a septuagenarian, billionaire businessman, former vice-president, and three-time presidential aspirant. With Mr Abubakar distrusted for his wealth and opportunism, the election will be close. Its outcome will hinge on who arouses less apathy. So who will win? Many Nigerians do not care. The back-and-forth floor-crossing has convinced them that the same people will be in charge either way. The PDP holds a slight edge, if only because expectations for Mr Buhari were higher and his failure to meet them was more recent. But with successive governments having failed to make Nigeria less oil-reliant, says Ayo Teriba, an economist, the country’s economic health in 2019 will depend not on who rules it, but on the price of crude. Relative calm and democracy at the federal level will obscure the small fires burning in some of Nigeria’s 36 states. The war against Boko Haram in the north-east is stalling; the jihadists roam the countryside unimpeded. Bandits prowl the oil-rich Niger Delta. Fighting is escalating between farmers and herders across the country’s middle belt. 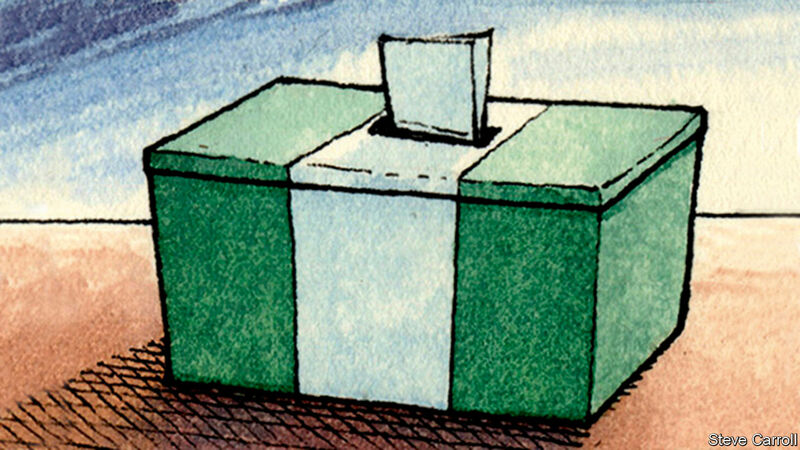 Things will not fall apart in the year ahead, but Nigerian voters have little reason to believe they will improve.